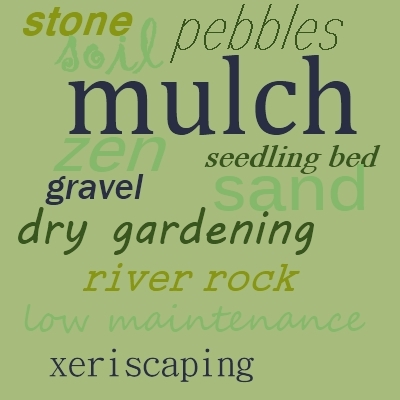 Making a gravel garden is much more than simply dumping a load of ¾ crush in your back yard. There is some planning in the process. Look at the care that Beth Chatto put into her gravel garden, or the detailed plans that John Brooks makes up prior to making a gravel bed. In John Brookes Garden Design Book he details many inspirational gardens, with none more so than his own garden in Sussex, England. Echoing shapes in different materials lends cohesion to his designs. 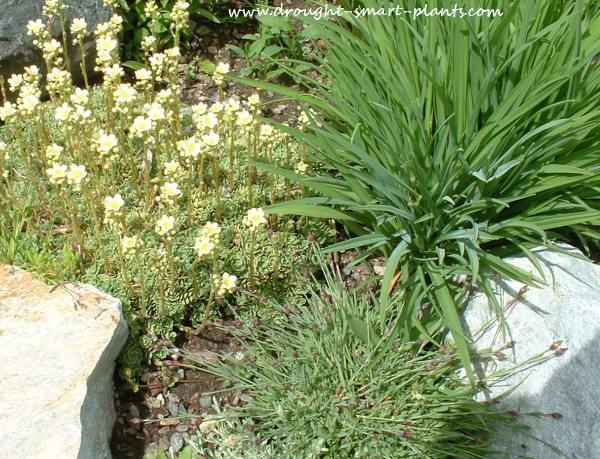 The premise behind a gravel bed is that it not only is easy to weed, but also provides the perfect conditions for some of the best self seeding plants in the garden. Allowing them to choose their own germinating bed gives you strong healthy plants, which you can leave in their choice of gravel bed, or can be moved into regular growing areas in the garden. A gravel garden can be an amazingly simple design, but then nature steps in to embellish it with wit, charm and sophistication unmatched by anything we could come up with. Ken Druse is a garden designer (and a plants person too) with the sense to make good bones, then stand back to let things take their course, only intervening when things get out of hand. In his book, The Passion for Gardening, he tells the story of his foray in gravel gardening alongside his special rock wall built by a master stonemason. In the description of putting in the gravel bed, he describes his ruling idea to be a "desire to look and my need to putter in mind…a planting that would speak to the various facets of my gardening personality…full of details, with nooks and crannies for little plants, interesting combinations and a variety of conditions..."
His vision succeeded beyond his wildest imaginings. The sheltered gravel bed bares off early in the spring, before any other place in the garden, allowing hardy seed grown Cyclamen to thrive. Tilling in gravel with clay fill and some compost to a depth of over 40cm, the bed is over half gravel by composition. In an astonishing revelation, Ken says, "if I could only have one garden (perish the thought) the gravel garden would be it..."